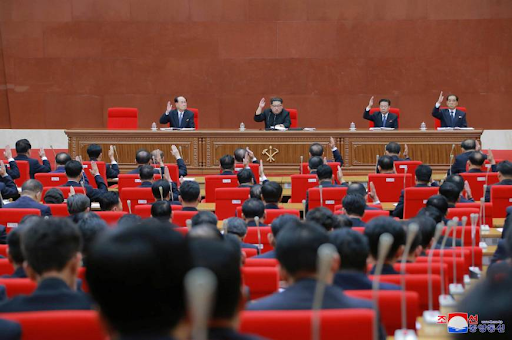 The Democratic People’s Republic of Korea (North Korea) announced several apparent diplomatic concessions in the lead-up to an inter-Korean summit set for Apr. 27, 2018, and a planned summit between the United States and North Korea slated for late May or early June this year. Reaction from the region and the wider world has been generally optimistic, albeit tempered with caution given North Korea’s track record regarding disarmament and resolution of the complicated diplomatic issues on the Korean Peninsula. Pyongyang withdrew from the Nuclear Non-Proliferation Treaty (NPT) in 2003 to much consternation from the international community. After its ballistic missile launch and nuclear weapons test in 2006, both which were condemned by an unanimous United Nations Security Council in two separate resolutions, Pyongyang has been subject to international punitive sanctions designed to inhibit further development and testing of North Korea’s ballistic missile and nuclear weapons programs. Recent tensions in northeastern Asia over Pyongyang’s missile launches and nuclear tests escalated rapidly starting in the latter half of 2017, when two North Korean missiles flew over Japan’s Hokkaido island in August and September and Pyongyang reported the successful test of a hydrogen bomb on Sept. 3, 2017. However, the highly-anticipated 2018 Olympic Winter Games in PyeongChang, South Korea, granted a reprieve in further escalation of tensions as Pyongyang expressed its willingness to cooperate with Seoul over participation in the Olympics. Ultimately, the North sent a delegation to the South to compete in the Olympics while South Korean President Moon Jae-in announced shortly before closing ceremonies that Pyongyang had expressed its willingness to directly engage with the United States in talks. US President Donald Trump accepted the offer for talks with DPRK Supreme Leader Kim Jong-un on Mar. 9, 2018. On Apr. 18, Seoul’s Unification Ministry stated its goal to secure an official end to the Korean War by replacing the current armistice with a formal peace treaty after US President Trump gave his “blessing” at a press conference with Japanese Prime Minister Shinzo Abe at his Mar-a-Lago resort earlier the same day. Trump also tweeted that US Central Intelligence Agency Director Mike Pompeo had met with North Korean officials and Kim Jong-un over Easter weekend in a meeting that went “very smoothly” and formed a “good relationship." While his government preparing for the impending high-level diplomatic summits, South Korean President Moon made a surprise announcement on Apr. 19, 2018, stating that North Korea was seeking “complete denuclearization” of the Peninsula without any preconditions — including past demands for withdrawal of all US troops and UN sanctions. Top Korean officials on both sides successfully tested a phone line between Seoul and Pyongyang on Apr. 20, thus allowing for direct communication between Moon and Kim that would otherwise have to be routed through the Joint Security Area in the Korean Demilitarized Zone. While many world leaders have welcomed the DPRK’s announcement, South Korean conservative parties and certain international experts have expressed skepticism over the actual value and intent of Pyongyang’s testing moratorium. Meanwhile, as summit preparations continue, South Korea announced on Apr. 22 that annual military exercises with the United States would start this week as scheduled. It remains to be seen whether or not the upcoming summits can deliver some new breakthrough in inter-Korean relations.